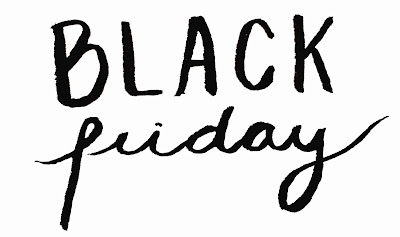 Online shoppers, today is our day to shop! In this post you'll find the best Cyber Monday beauty deals, coupons, and also the Ebates cash back rate. And let me tell you, most of the websites listed raised their cash back percentage, some will even give you more than 10% cash back. If you're not a member of Ebates, then you have to quickly register so you can earn cash back on your Cyber Monday purchases. I advise you to take out your credit cards because there's some amazing beauty deals coming your way. Some of the deals are honestly too good to pass out. Now that we've all done some major damage on Black Friday, it's time to go out and support your favorite local business in your community or do some shopping online. By now most of you know that I previously worked for a small business in San Diego that sold items from various small businesses, so I developed a real passion for supporting people with big dreams. In this post I'm going to be sharing a few Small Business Saturdays deals, as well as some cool online and Etsy shops that you should definitely check out. Bonus: If you live in San Diego, make sure to show some love to a few of the local businesses listed in this post. So many of you really enjoyed my Black Friday post last year, so I've decided to do it again. In this post I'll be sharing the best beauty deals, coupons, and also Ebates cash back rate with all of you. If you're not already a member of Ebates, then what are you waiting for? The website is completely free and it's also very easy to use. With just a few clicks of your mouse you'll be able to earn cash back on most of your Black Friday and Cyber Monday purchases. I advise you to get your credit cards ready because the savings are coming your way! Since getting bangs I've been getting asked how I style and trim them on recent videos and in my social media posts, so I decided to film a quick tutorial for you. Trimming your own bangs is not only very easy but it'll also save you quite a lot of money in the long run. I've been trimming my own bangs for years now and I've learned a lot from all the mistakes that I've made in the past. Don't worry though, in this post I'm going to walk you through all the things you should avoid doing so you don't end up with tragically short or crooked bangs. You know what time it is? It's time for my monthly Birchbox! This month's theme was "The Finish Touch," which basically covered all those products that one would use to pull a look together. Sometimes little liner, blush, or even a step like exfoliating makes a world of a difference to your face. With only two more months left in the year, I really expected Birchbox to deliver an amazing box. I do have to say that Birchbox have set a really high standard for themselves with the past boxes I've received, but this box was definitely different to say the least. I won't try to spoil anything for you guys but this box is certainly worth checking out with your own eyes. My love for Warby Parker goes waaay back to even before I began this little beauty blog, I began following them around 2011 when I was just 21. Once I started my blog they became the very first brand to reach out to me to see if I wanted work with them (you can read that post here). From the moment I tried out their home try-on program in 2013 and learned more about their ethos, I knew this brand was truly special. It's no secret that Warby Parker revolutionized the way we shop for glasses, but for me they were the brand that opened my mind and allowed me to see glasses as more than just a boring and expensive life necessity. 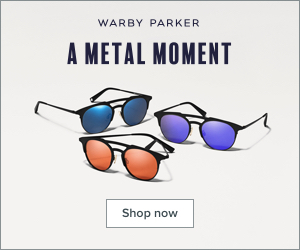 I currently own two pairs of Warby Parker frames (a pair of eyeglasses and a pair of prescription sunglasses) and I'm looking to expand my Warby Parker collection so I decided to try out some new frames. This time around I paid close attention to the measurements of each frame to make sure that each frame was going to suit my face. Last month I predicted that October might be the month that could turn this year around and well... I can safely say that it definitely gave me a brand new outlook on life. This last month was so enjoyable and it allowed me to have so much fun. First of all, my new job at bareMinerals has been absolutely incredible! This last month I also got the opportunity to make new friends and reconnect with one of my oldest friends. As far as makeup goes, I had so much fun playing with more colorful looks thanks to the Juvia's Place The Nubian 2 palette which I recently used in a tutorial. I'm feeling more and more like my old self as time goes on, which is definitely a really good thing.